Welcome to Tennis for Kids, a vibrant and innovative company that specialises in delivering tennis coaching and junior fixture programs in Brisbane primary schools. 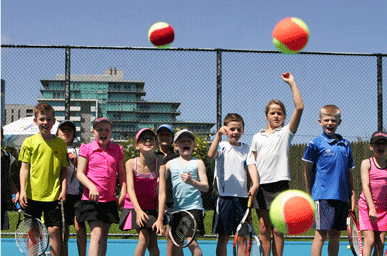 We currently deliver children’s tennis coaching, ANZ Hot Shots tennis, teen squads and private tennis coaching in the Brisbane suburbs of Bulimba, Coorparoo, Camp Hill, Corinda, Holland Park, Mansfield, Morningside, Sherwood and Tarragindi. 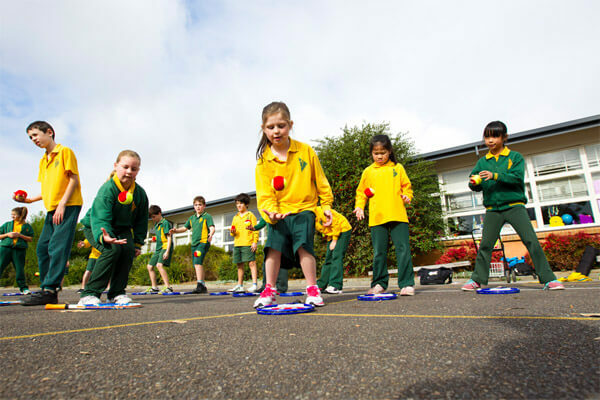 All classes are conveniently conducted on location at your local primary school. Lesson times vary according to each school, but children’s morning lessons are usually scheduled so parents can drop their children off early before heading to work, while afternoon lessons are usually scheduled so parents can pick their child up later in the afternoon. Private or semi-private tennis coaching for adults can also be organised by contacting our staff directly. 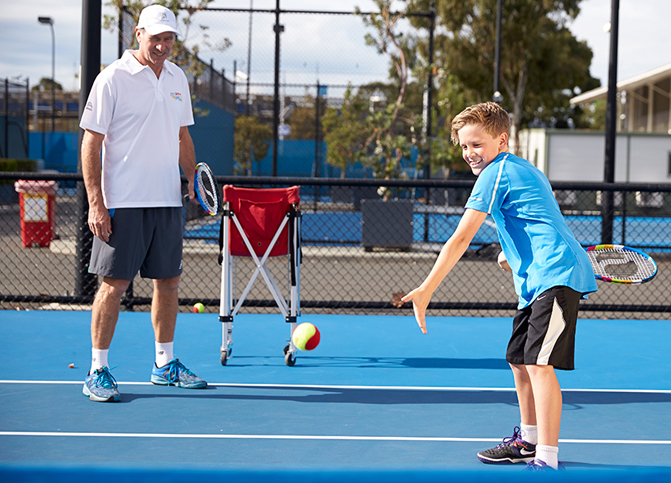 Tennis for Kids delivers coaching programs using the ANZ Hot Shots Framework to help kids have fun and success sooner. 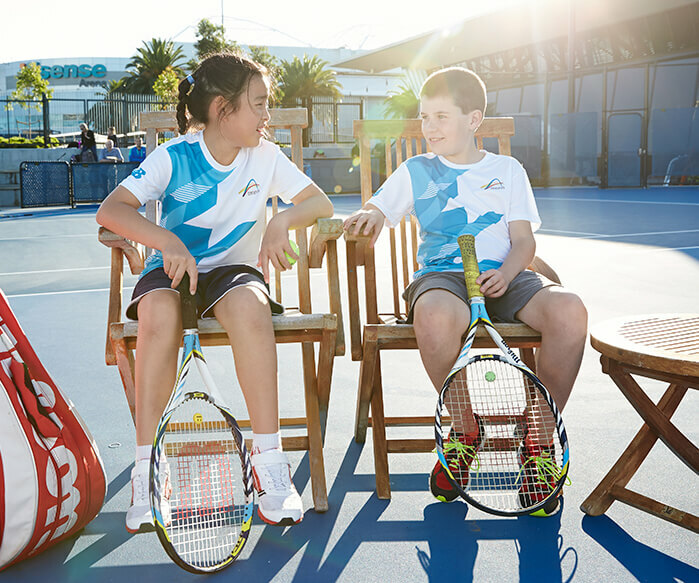 ANZ Hot Shots is a Tennis Australia program that utilises tailored equipment, including smaller courts, racquets and low-compression tennis balls. This program ensures children are introduced to tennis in an environment that is suited to their age and skill level, helping children succeed and have fun sooner. 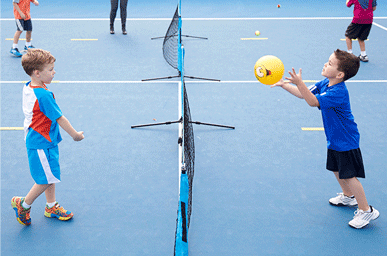 There are lots of sports available for children to play so why choose tennis? The primary school years are a critical period for children to develop coordination skills and in our opinion no other sport can deliver the same level of total skill development as tennis. Tennis teaches hand-eye coordination, total motor control, ball tracking and striking skills, all the while building balance, foot speed, strength, fitness, agility and flexibility. Tennis is a true family sport. 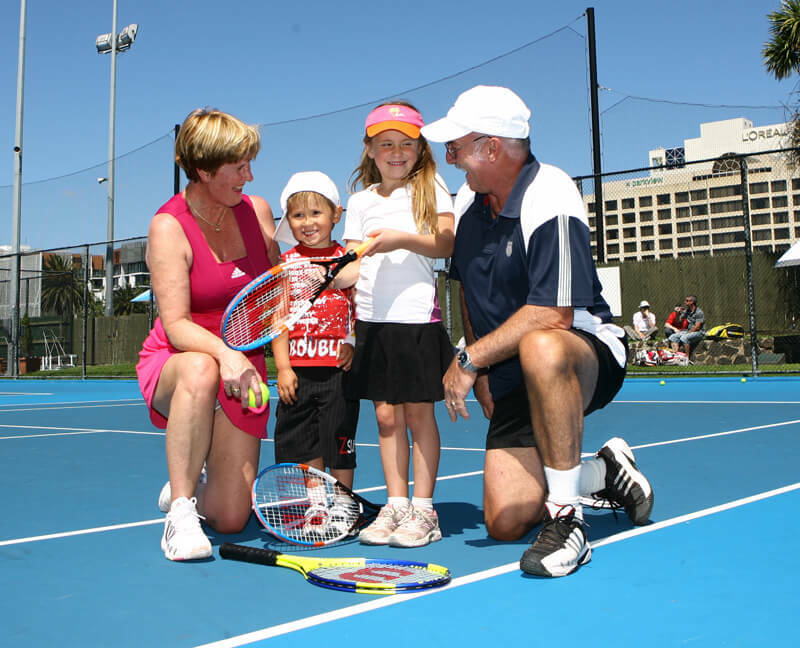 Everyone can get on the same court and share in the fun – Mum, Dad, brothers, sisters, parents and even grandparents!. 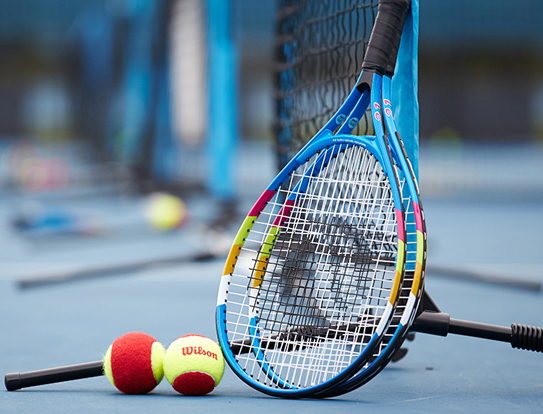 Tennis is one of the few sports that can be played for a lifetime – From the age of 3 to 103! Tennis teaches important life skills. In children, tennis hones important strategic and problem solving skills while also fostering a strong work ethic, discipline, and sense of sportsmanship. 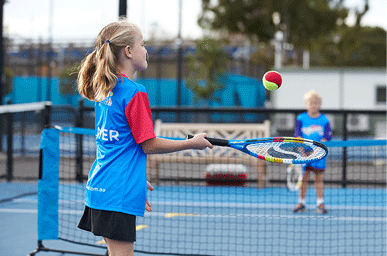 Doubles play and tennis team events (such as interschool tennis) teach children important social skills and teamwork. *Free tennis racquet offer does not apply to continuing Laff's students or students previously enrolled in Laff's coaching programs. Website Design by Total Executive. Powered by inTennis.